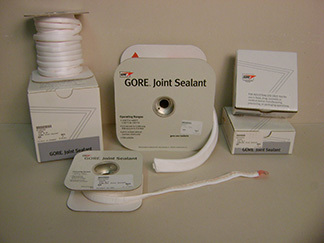 GORE® Joint Sealant, the original form-in-place gasket. GORE® Joint Sealant, the original form-in-place gasket, is the most cost-effective alternative to sheet gasketing for large equipment flanges. GORE® Joint Sealant can be used on practically every type of surface, and on rough or pitted flanges. GORE® Joint Sealant minimizes leak potential, lost production, maintenance time, and risk of catastrophic failure. It is the most reliable means of optimizing long-term system performance. 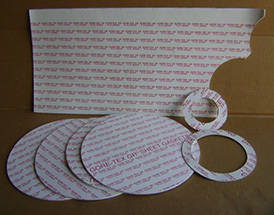 This sheet gasketing is made from 100% expanded PTFE.